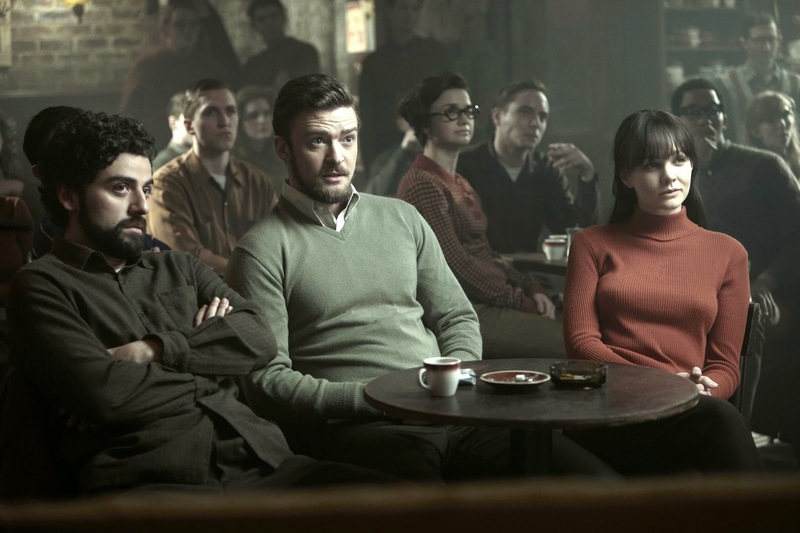 We know it mostly because Llewyn is a twee kind of a jerk who keeps reminding us how uncompromising he is compared to fellow artists like Jim and Jean (Justin Timberlake and Carey Mulligan). The married folk singers' generous beneficence towards Llewyn hasn't stopped him from knocking Jean up or snickering at the ridiculous novelty tune Jim wrote to put food on the table, "Please Mr. Kennedy." 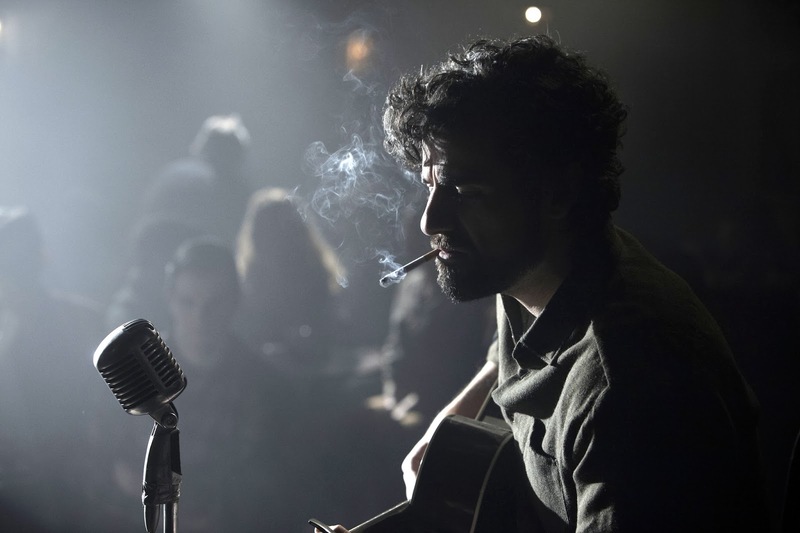 No, Llewyn—like many other Coen heroes—easily finds a home in douchebag territory, which may explain the movie's failure to attract Oscar love in any category but its inarguable nominations for sound mixing and Bruno Delbonnel's cinematography. Delbonnel's icy blue palette serves as an interesting counterpoint to the Coens' only other musical, the golden-toned, bluegrass-accented Odyssey update, O Brother, Where Art Thou? 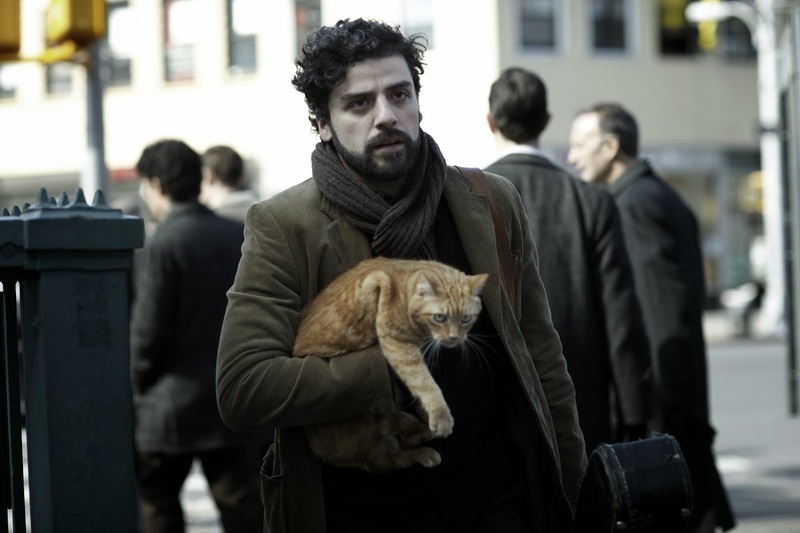 Another linkage between the two films is a cat Llewyn ends up caring for, named Ulysses (like George Clooney's Ulysses Everett McGill and Homer's hero). But the odyssey the not particularly endearing Llewyn embarks on ultimately proves fruitless. 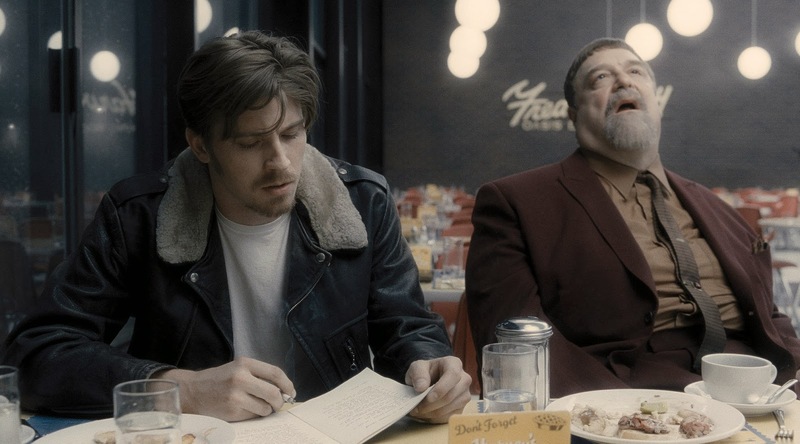 A road trip to Chicago with the pedantic hepcat Roland Turner (John Goodman) and his mumbling "valet" Johnny Five (Garrett Hedlund) could best be classified as one extended non-sequitur punctuated by Ulysses—or a cat that only looks like him—wandering off into a frozen forest. The trip does, however, offer Llewyn a shot at fame. Grossman: ...You're no front guy but if you can grow a goatee, stay out of the sun, we might see how your voice works with the other two. Comfortable with harmonies? Llewyn: No. Yes, but, no. I had a partner. Grossman: Uh-huh, well that makes sense. My suggestion? Get back together. Llewyn: That's good advice. Thank you, Mr. Grossman. Timing is everything, and sometimes it can mean the difference between success and failure. 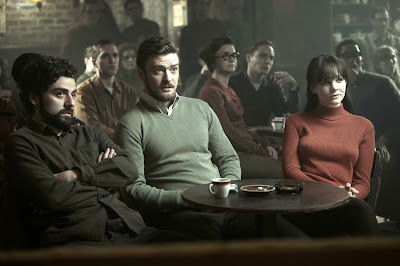 That is what the Coens seem to be saying with Inside Llewyn Davis' disorienting circular structure. 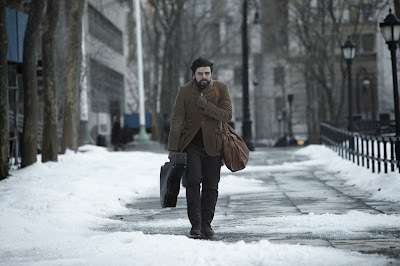 The film ends with a virtually exact replay of its opening scene, with Llewyn again onstage at the Gaslight Café, again playing "Hang Me, Oh Hang Me," again walking out to an alley and getting punched in the face by a dissatisfied patron. Only this time we know what Llewyn did to deserve it. And this time, one additional bit of information about that particular night at the Gaslight is made known to us. Someone else, who is just as uncompromising and talented as Llewyn is also playing that night, someone we definitely recognize the moment he starts singing. And the very fact that we do explains why all the integrity in the world can't save Llewyn from the downbeat destiny the Fates have in store for him. For the rest of my list of 2013's top films, click here. you think if things had just been a little different that things might have worked out for Llewyn, but no, here he catches the cat, and (I forget, something else happens that's different) but look, he still mouths off and get beat up. That's who he is.